Send A Message To Bettina. Session Fees: Many clients can be seen through their Employee Assistance Programs. Most extended benefit plans will reimburse for Registered Clinical Counsellors. Are you ready to make a change in your life? Let me help you. Do you want to move in a direction of growth instead of moving in a direction of stress? Let me help you. Do you want to feel passionate about your life? Let me help you. Do you want more connection in your life? Let me help you. Do you want to feel closer to your loved ones? Let me help you. Do you want more from your relationship? Let me help you. Do you want to heal the trauma you have experienced in your life? Let me help you. Do you want to feel less anxiety/depression and feel more joy/contentment? Let me help you. I use a number of specific therapies to help you achieve your goals including EMDR (Eye Movement Desensitization Reprocessing), Enneagram Personality Process, EFT (Emotionally Focused Couples Therapy), Cognitive Behavioral Therapy, Satir Transformational Systemic Therapy, and Experiential Therapy. These therapies are proven to help individuals with anxiety, depression, grief/loss, lack of motivation, family of origin issues, transitions, and trauma. I also specialize in Couples Counselling and use these therapies to help couples communicate their feelings, wants, and needs with each other, which creates healing and connection. My husband and I have been together for 30 years through life's ups, downs, all arounds, sickness, health, family struggles, and relationship issues. We have stayed connected through it all. I am a strong believer that all it takes is a little bit of willingess to make a whole lot of change! 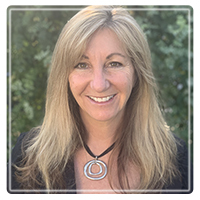 Bettina Harach BSc., MA, RCC, has been helping individuals and couples for over 25 years take the first step towards having the life and relationships they want. Let me help you through this journey of change.